Ahoy Mickey Mouse fans! Andrea of Creight Moments designed and photographed an adorable nautical Mickey Mouse boy birthday party full of treasured treats and party décor for little sailor, Andres. 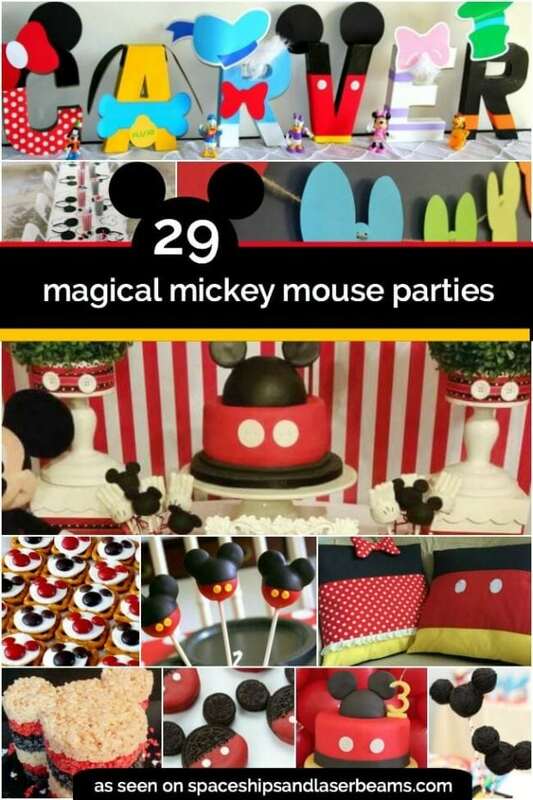 Be sure to scope out the Mickey Mouse cake and cookies, nautical cupcakes and unbelievable invitation and party decorations. Don’t miss this message in a bottle Birthday Party Keepsake Idea. Take a peek at this gorgeous Nautical Baby Shower idea as well. Almost every great party starts with a fabulous invitation to set the tone. This event was no exception. Combining a bright, red, white and blue color palette with some traditional nautical elements and just a hint of Mickey, the invitation foreshadowed the exciting birthday adventure to come. I can only imagine the looks on little (and big!) sailors’ faces as they navigated their way to the dessert table. Truly spectacular in every way, it was home to a beautiful smorgasbord of nautical-themed treats. Creight Moments created a seaworthy set-up by combining rustic and natural decorations such as a fish net, burlap runner and wood rounds with preppy pennant banners and crepe paper tasseled balloons in the red, white and blue party colors. The focal point of the table was most definitely the impressive nautical Mickey inspired cake by Mayu’s Cakes. I love how it was given added height and prominence on the table atop the rustic wooden chest. Various eye-catching treats, also from Mayu’s Cakes, filled the table and were neatly and creatively displayed on nautical striped paper-wrapped boxes, wood crates and white platters. The details on the nautical rope cake pops and cupcake toppers, as well as the Mickey cookies, are truly inspiring! Colorful candy was served up in clear, twine embellished vessels for easy access. And how cool is that gumdrop Mickey? Personal touches added to the table. The oversized letter “A” was a cute addition that served to remind guests who the party was for. The “Captain Andres Dessert” table sign further tied in the theme and added a nice custom effect. It’s little details like this that take a party from ordinary to extraordinary. Not only did Andrea style and design the event space and invitation, but she also put together beautiful floral arrangements that added to the décor. I am a huge fan of fresh flowers, and these arrangements were beautiful! Be sure to check out some more nautical themed boy birthday party ideas here.